Motivation To Learn: "It was The Best Of Times, It Was The Worst Of Times"
This article is a continuation of my previous article describing the challenges faced by the silent stakeholders in eLearning, both corporate and student learners involved in formal education. Let us talk about motivation to learn. It would be very easy to see the condition of our own world today in this quote; but if we did, we would miss that what the quote was leading into was a revolution that would involve great self-sacrifice on the part of the people of France. However, not all revolutions need result in a "winter of despair" but can lead us to a far better place than we have ever been before. 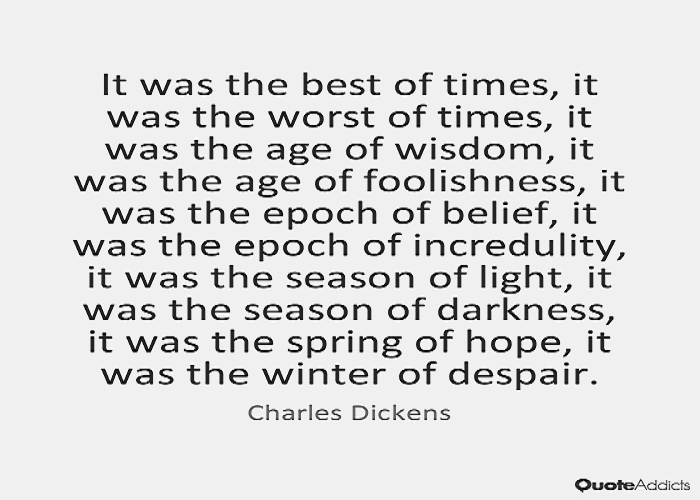 The fateful words of Charles Dickens might very well describe the condition of eLearning in the highly connected digital world we live in. 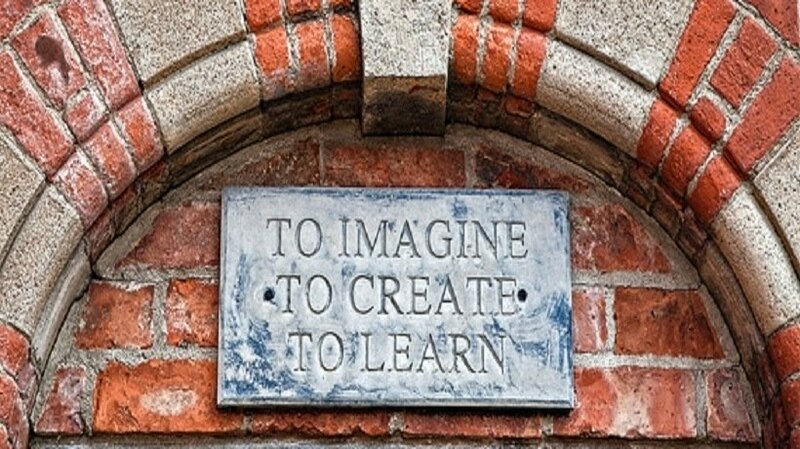 We can see the contrasts of the "age of wisdom" and the "age of foolishness" when we compare those in education and business at every level refusing to encourage the growth of adaptive, agile, collaborative learning cultures and willing to settle for the status quo in learning that hasn't changed in decades. This is representative of an age of foolishness in which the sacrifices are made by learners who desire and need to learn, but see no motivation in learning that stems from curiosity and a very human love of learning. Finding that elusive motivation to learn and fostering an engagement in learning that learners find irresistible is the hope that we have in the development of eLearning experiences within business training and formal education. 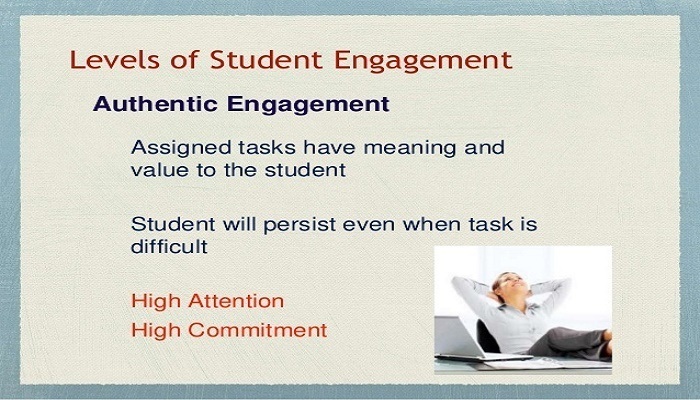 True and sustained engagement of the learner can only be achieved when the intrinsic motivation of the learner is more powerful than artificial external motivators. 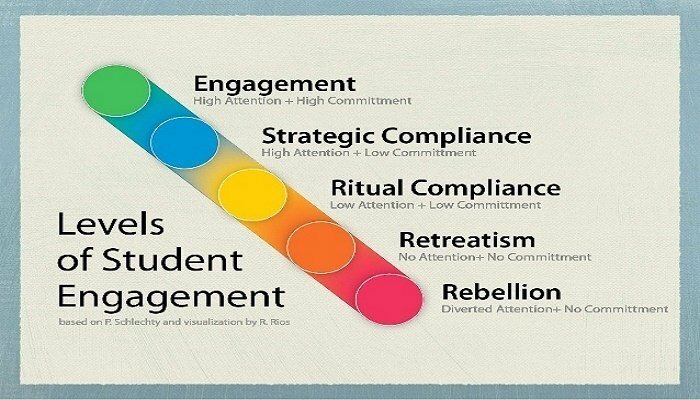 For learners, whether business employees or students in formal education, there are levels of engagement that describe the reaction of learners to the learning experiences that they are exposed to. These reactions also speak to the effectiveness and vision of the instructional design used in the creation of the eLearning experiences. At the highest point of engagement as indicated in the diagram below, you have a learner reaction of high attention and high commitment. 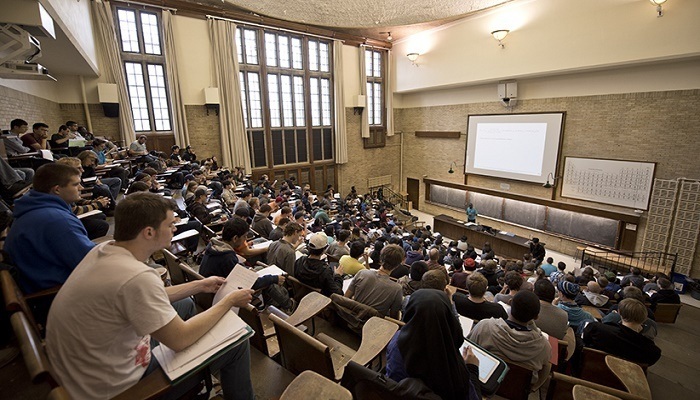 At the middle level, Ritual Compliance, you have the reaction of a learner that is quite representative of many university students as well as learners in corporate training sessions to the learning experiences. 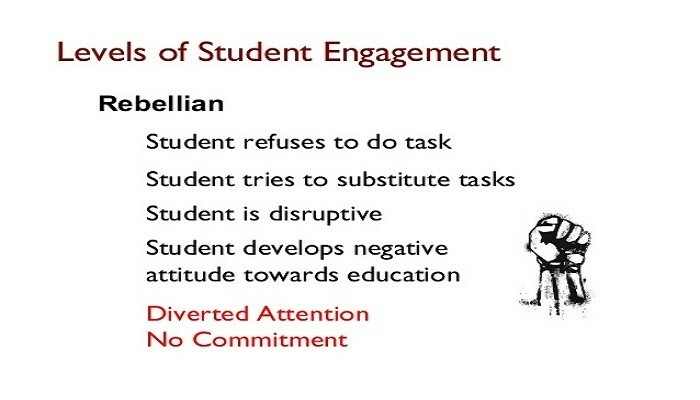 At the lowest end you have outright rebellion against engaging the learning experiences chosen for them. In business organizations, the easy manner of dealing with the situation is to eliminate the disruptive influence. Although this may seem like an expedient solution, it is probably not the wisest course of action because in doing so we may be blinding ourselves to serious pedagogical problems inherent in the design of the learning experiences that we are exposing employees to. It is for that reason that we need to see the importance of having someone on staff who does not fit the standard pattern of HR staff, but instead it needs to be someone who is in tune with and current with learning principles that are being uncovered through the research of Cognitive Learning scientists. It needs to be someone who can create learning profiles for employees and is able to convey to employees that they are willing to invest the requisite time in helping them grow in their learning within the organization. It needs to be someone who recognizes that for most business organizations, "blended eLearning" is the best fit. 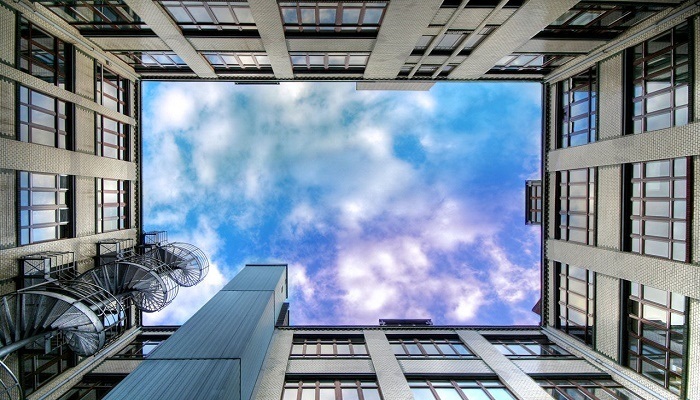 This learning growth is not to be reserved just for the front line employees but also those who occupy the executive suite of the organization. Leading by example is a priority for a healthy organization in an age of information and learning. If we believe that having employees come to training sessions, providing them with trays of snack foods and then exposing them to stacks of PowerPoint slides will lead to sustained engagement in their learning, we are being quite naive and blind to the levels of digital connections to reservoirs of knowledge that employees have outside their work environment. For eLearning to be meaningful, it means that the employees need to be able to connect with it on a personal level that relates to their goals both in the work environment and outside that environment. Sadly, there is a lot of poorly designed or bad eLearning on the web. Although MOOCS are improving, they still have a high percentage of learners who never finish courses. Their engagement has become disengagement. As is indicated above, taking care of the daily little things goes along way towards creating confidence on the part of the learner that decision makers have a vested interest in the learning of the employees or students and are willing to demonstrate that interest in credible, non-artificial ways. It is a matter of looking at sustainable engagement and motivation with a new perspective because engaging in education online has similarities to the training area in a business organization or the brick and mortar school classroom, but the online environment is not the same in that the boundaries of collaboration, innovation, and creativity are global and immediate in nature. 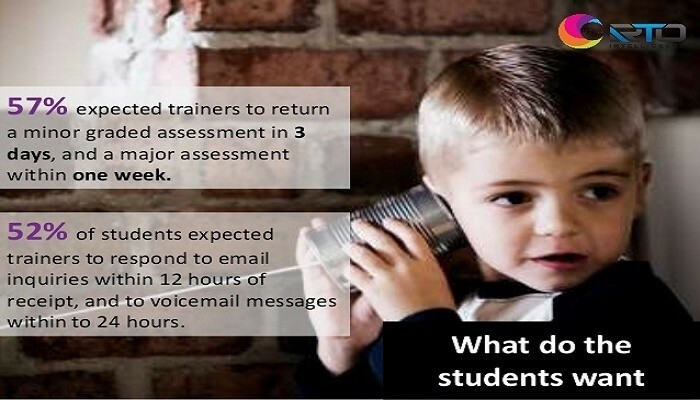 This brings us back to the need indicated in Part I; that in order to develop effective, irresistibly engaging eLearning where learner engagement becomes more and more fueled by intrinsic motivation, we need to include the voice of the silent stakeholders in learning, the students or learners themselves. Without their voice, motives that have more to do with profit reports and meeting compliance requirements rather than high quality, effective eLearning design will become the drivers to a continued disengagement of employees and students in formal education. 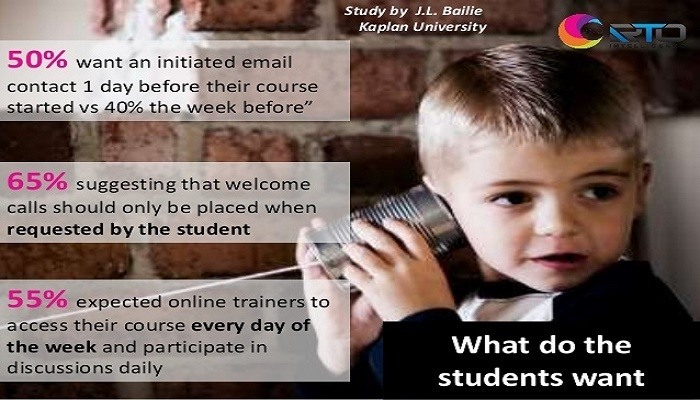 Refer this two-part article to a college instructor, corporate trainer, or university instructor so that the questions found in Part I can be answered by a sampling of students to help improve our conversations on how effective eLearning should evolve to benefit citizens and their quality of life in our societies.